I don’t know where it came from…but the flowers seemed to explode on all the trees this past weekend. Just walking in the wind and shower of delicate pink petals painted this picture to me that everything was right with the world in that very moment. I met up with Miss Kelsey again this past weekend to get my mop cut. Seriously folks it was getting a bit out of control. I don’t want to go there but I will. Can we say business in the front party in the back?? HA-HA. Kelsey wanted to get a trim and manicure too, so it was a perfect excuse for a girls day. Before heading off to our salon appointment we strolled all around Itaewon. The weather was a bit brisk but it was perfect for walking. You know the kind right? Not to hot, not to terribly cold. Besides, studies show that because walking is a repetitive activity, it helps trigger the body’s relaxation mode that helps reduce stress (we both needed that after the week we had) plus, at the same time, a ten minute walk provides an immediate energy booster and improves your mood. It’s proven to snap you out of your funk (again needed). Research also suggest that you should aim for a minimum of 10,000 steps a day (equivalent to approximately 5 miles), the magic number that keeps most from gaining weight. 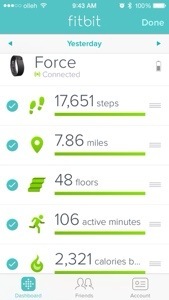 Here’s what my Fitbit tracked while strolling around the Itaewon area with Kelsey. Not to shabby right? Okay, I will hop off my soapbox now. Perhaps all those steps made up for the lunch we had? Softree for a magic lamp. It’s magical all right! Organic vanilla soft-serve with caramel swirls and a fine crushed nut topping. I took notes from my late great-grandmother and do cover the important parts of meals first. Dessert. We then followed up with a chicken pita and greek salad from Greek on the Grill. Delicious and cheap too. Check them out and let me know what you think.